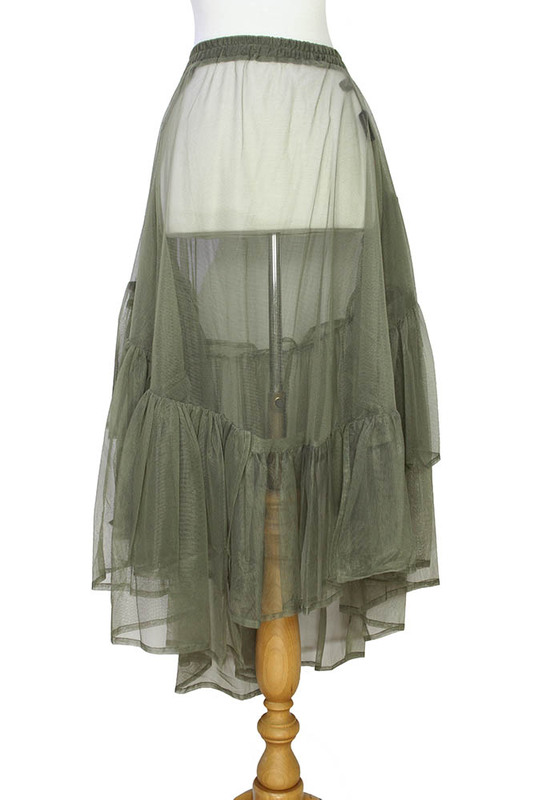 Barbara Bologna 'Flounce Skirt' in green net. Pull-on elasticated waist. Attached layered frills throughout. Brilliant skirt, perfect with the other pieces.